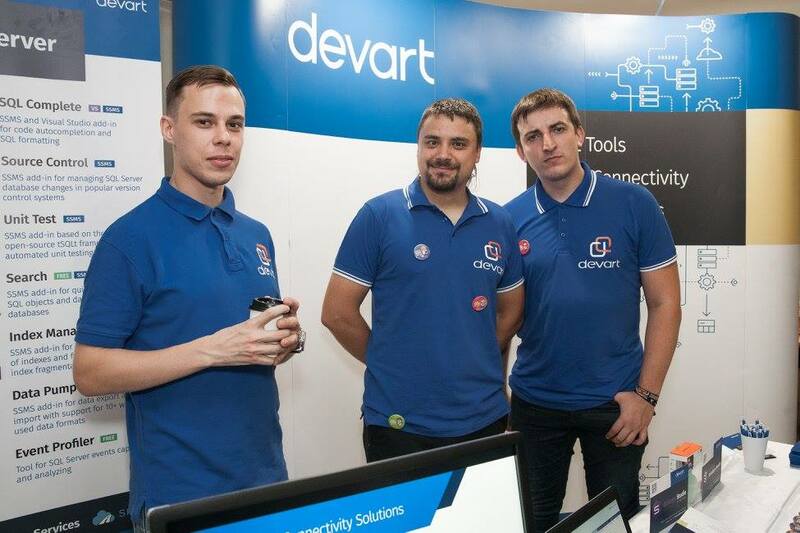 Devart was a sponsor of SQLSaturday#660 held on August 19, 2017, in Lviv, Ukraine. We were very glad to take part in the event, talk to visitors, make new acquaintances and support our Ukrainian SQL Server community. We would like to thank the organizers of the event: Sergey Lunyakin, Andrey Zrobok, Oleg Deyneko, Marina Lunyakina and volunteers for organizing SQLSaturday Lviv and the opportunity to be a part of the event. We express our tremendous gratitude to all speakers who attended the conference and shared their knowledge and ideas with the community participants. How do you take part in developing the SQL Server community in Ukraine? I supervise Lviv SQL Server UG and help to organize the events. Andrey Zrobok helps me to hold meetups. Also, I am a speaker on SQLSaturdays in other cities of Ukraine and local communities of companies. I am an organizer of SQLSaturday Lviv. 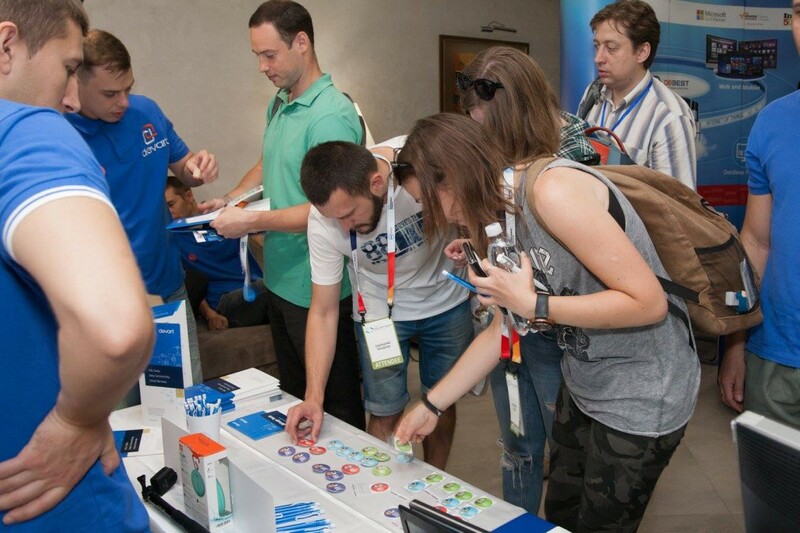 What SQLSaturday events did you organize and take part in? I was an organizer of SQLSaturday in Lviv in 2015 and this year. Of course, I would not cope without the help of Andrey Zrobok, Oleg Deyneka, my wife and guys from our Lviv community. 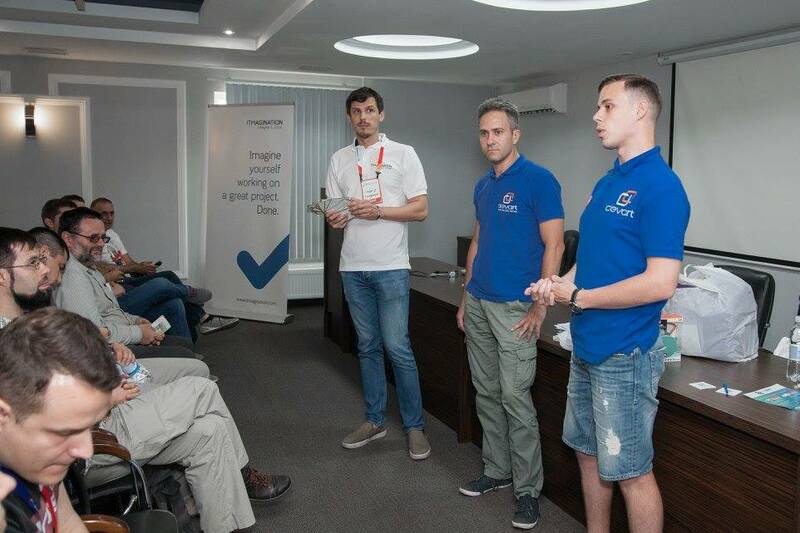 In 2015, we held the first SQLSaturday event in Lviv. Every year we have SQLSaturdays in different cities of Ukraine. However, there is a team of organizers in each city, where I am only a speaker at a conference. What motivated you to organize your first SQLSaturday in Lviv in 2015? The community and love for SQLSaturday. I like to make new professional acquaintances and talk on general topics with interesting people. SQLSat helps people develop, get acquainted and gain new knowledge. What SQLSaturday was the most difficult for you to organize, this or previous year? It was difficult to organize the first SQLSaturday event in 2015, of course. The real help for me was that, before organizing the event, I had got much experience from participants and speakers on different SQLSaturdays in other cities. I borrowed ideas on the organization from different events I attended. Of course, there were mistakes at the first event, but we fixed them during the event and the conference went good. In 2017, we took into account all the previous mistakes and the event went more smoothly. We had small surprises, but in general, everything was fine. What is the most important part in SQLSaturday for you as for a participant? The most important for me is networking with attendees and speakers. I get a lot of new experience and knowledge at the events. What part of the event do you prefer the most (introductory part, ruffle, etc.)? Why? The most favorite part starts during the second half, when all the questions and problems are solved, and you can relax and talk to participants, sponsors, and speakers of the event. Which SQLSaturday event you attended stand out to you in particular? Why? Most of all I liked two events, in Kiev in 2017 and in Iceland. In Kiev, there were many people and great mood – it was a huge event. In Iсeland, I liked to combine the culture of people with the event, it was very interesting. Iceland is a very amazing country. What do you think the SQL Server community in Ukraine has changed with the appearance of user groups and events? It all started with the first SQLSaturday in Kharkov in 2012. The community itself began to develop actively 4 years ago – in 2013. In Ukraine, the number of events increased as well as user groups appeared. In Lviv, for example, 86 people came to the first meeting, which was a surprise for us. In Kiev, over 100 people constantly attend the event. It would be great if we had an association, like in Poland. It is much more effective to organize conferences and allocate resources in this case. 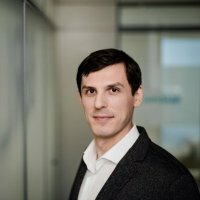 How do Ukrainian IT companies take part in events? What role do they play in developing the SQL Server community? Here everything depends on the company. In Ukraine, there are product companies, for example, Devart that bails out and can provide their licenses for the ruffle or for the education at the UG meetings. In addition, there are service companies such as DBBest, Eleks, Softserve that help financially or can provide premises for holding meetings. Each company contributes and it makes us happy. What products do you use in your work? Name top three must-have tools, which each developer/administrator requires. I use Schema/Data Compare, Search, SQL Complete and Data Generator. All these products allow me to save my working time and simplify the working process. Search helps to quickly find a necessary string of the code in a huge database, which contains many procedures and functions. Data Generator allows me to make demos and tests without using real data, since some information can be sensitive. If we talk about must-have tools, then they are probably Search, SQL Complete, and Schema/Data Compare. Are you going to organize SQLSaturday in 2018? What would you like to change or add? I do not know yet. I need some time to calm down after this event J Also, there may be changes towards the association so we will see later. Regarding changes and new ideas, everything has actually been thought out. On different SQLSaturdays, you can find many interesting ideas, sessions schedule on badges, like in Poland, or the process of collecting stamps from sponsors in order to take part in the ruffle, like on PASS Summit. Before leaving, what would you like to say to the entire Ukrainian SQL Server community? We would like to thank all the organizers and speakers of the event! Looking forward to participating in the upcoming SQLSaturday events!